When your career demands your very best, optimal health isn’t just a plus, it’s essential. 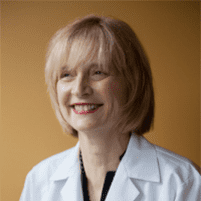 At POTENTRx in Seattle, Dr. Sarah M. Speck, Dr. Dan G. Tripps, and their top-notch team offer a full scope of executive health and fitness services designed to keep busy professionals at the top of their game. 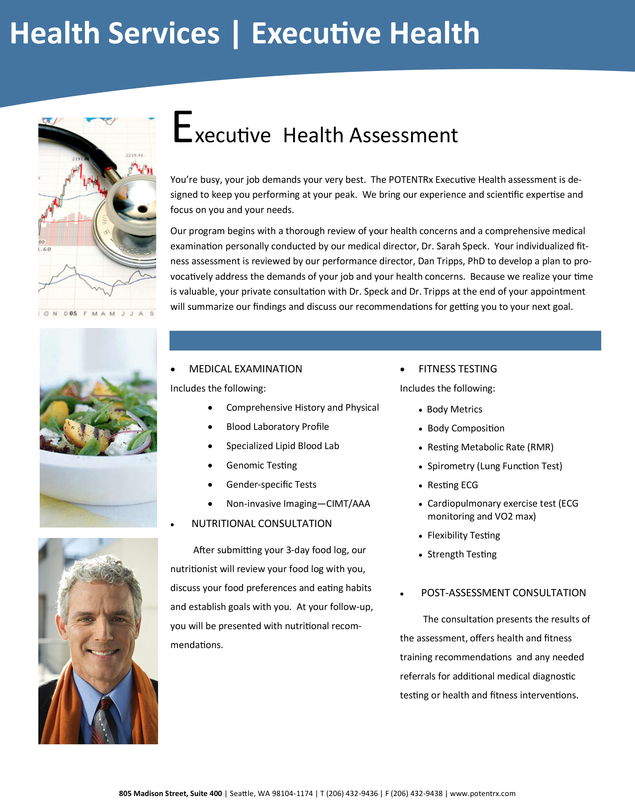 What is an executive health & fitness assessment? The Executive Health & Fitness Program at POTENTRx is designed to meet the health and wellness needs of active, career-oriented individuals through a comprehensive whole-body assessment. In addition to evaluating a client’s current health, the assessment addresses any concerns and provides results-based advice on how to best manage risks and achieve optimal health. The assessment itself is intended to be a kind of one-stop-shop for health, diet, and exercise. The team at POTENTRx takes an efficient approach to health management, coordinating their clients’ health and medical needs for them, so that they can continue meeting the demands of a high-powered career without missing a beat. A detailed review of your personal medical history, pertinent family history, current lifestyle, and any health concerns will be taken. A complete physical exam of your primary body systems will be made. A full lab panel for a comprehensive analysis of current health status and risk, including metabolic function, blood count, cholesterol and triglyceride levels, thyroid function, vitamin D levels, and diabetes risk will be performed along with other diagnostic assessment tools including heart and stroke prevention testing and non-invasive artery imaging. A 65-point evaluation will be conducted by a physical therapist to gauge your muscular strength, range of motion, posture, balance, reflex mechanics, and stability. An evaluation will be conducted by an exercise physiologist to gauge your body composition, resting metabolic rate, and aerobic capacity. A fully licensed nutritionist identifies your baseline nutritional needs and goals for improvement in a detailed nutritional consultation. Includes lifestyle coaching, as well as progressive, goal-oriented fitness and nutrition planning. You’ll consult with medical and performance directors to review assessment results, provide referrals as needed, and offer further health and fitness recommendations. Does POTENTRx offer continued support? If you’re ready to discover the healthiest, strongest, most vibrant version of yourself, call POTENTRx to find out more about the Executive Health Program and all it has to offer.